Ready for an EASY way to keep your dog (or cat) in YOUR yard WITHOUT having to build an expensive fence in your backyard? Here’s how to do it the cheap and easy way. 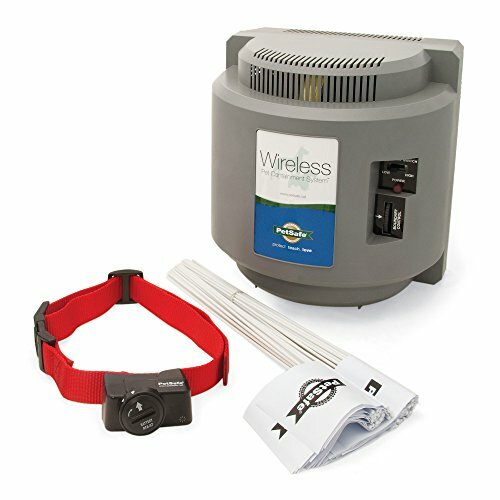 Wireless pet containment systems are also called an “invisible fence”, “wireless fences”, or an “instant fence” and are designed to help keep your dog (or cat) within the boundaries you set with your containment system. 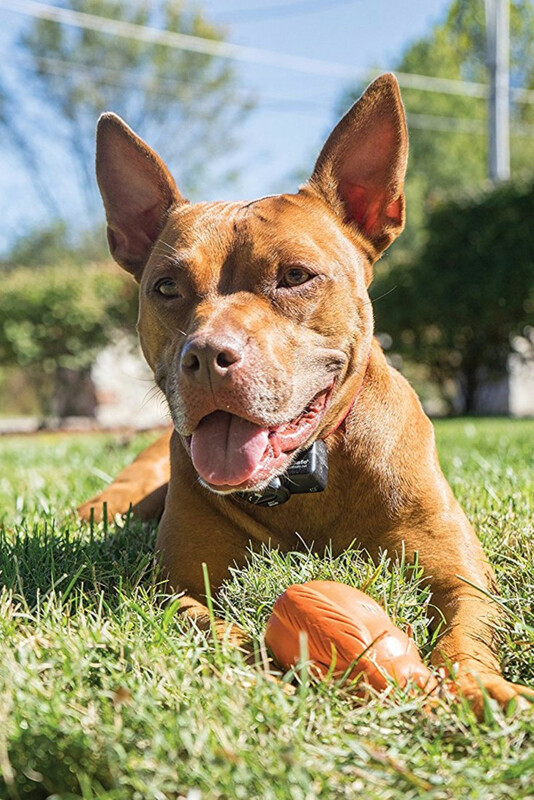 Your pet wears a wireless collar with a receiver on it and when they go outside of the boundary you set, they first get a beep and then a gentle “shock” to remind them to stay in your yard. With so many wireless pet containment systems on the market, how can you decide which is BEST? That’s what THIS page is for! See only the BEST RATED wireless pet containment systems here. Best Wireless Pet Containment System WINNER: This wireless system is our pick for Best. 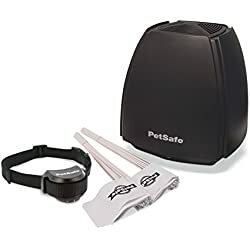 When it comes to the best wireless pet containment system, this system right here is considered best by consumer reports, reviews and ratings from other pet owners. This PetSafe wireless containment system is SO easy to set up. Pretty much “plug and play” type of thing – plug it in, make a few adjustments as needed, and you’re good to go. 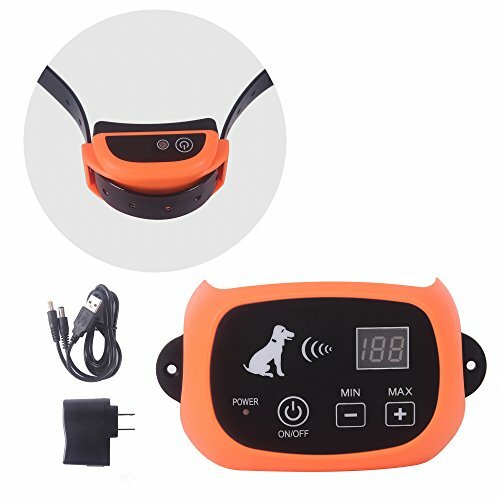 Waterproof Receiver Collar with low battery indicator includes 5 levels of Static Correction plus tone-only mode for training. 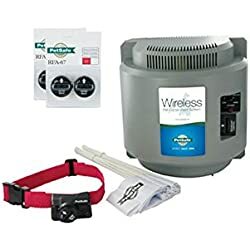 ✅ BUYING TIP: If you can get a PetSafe wireless pet containment system for under $300, you’re getting a good deal. If you ever find it on sale for LESS than $300, grab it! A few of the reviews for the PetSafe wireless pet containment system are really important to read BEFORE buying. 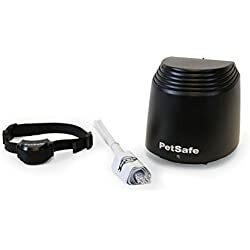 For example, this review: Good Product But Warning To The Buyer, shared what the pet owner did NOT like about the containment system and is similar to other PetSafe complaints. Definitely read this review before buying this containment system. Read all consumer reviews here. Read only the NEGATIVE reviews here. Note: this wireless pet containment system creates a round/oval invisible fence – it does NOT work for square or rectangle areas. The best wireless pet containment system for big yards is this containment system here. Pet owners LOVE it and are very, very happy with it. You can also have as many pets on this containment system as you want (obviously, each pet will need a wireless containment system collar). Read reviews of this wireless pet containment system here. If you need a really good pet containment system for a square or rectangle yard, this is a great pet containment system to consider. Pet owners really love it AND love how easy it was to install. Best wireless dog containment system is this containment system. Despite varying reviews from other pet owners, the good definitely outweighs the “bad” and most pet owners will be very happy with it. The best outdoor invisible fence containment system for cats (and for little dogs) is definitely this containment system here. Be sure to read about the importance of the size of your pet’s neck to be sure you get the right containment collar. 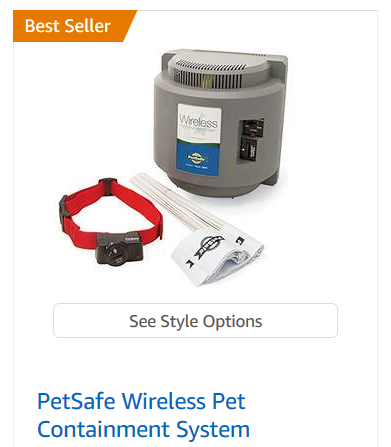 Let’s compare wireless pet containment systems from invisible fence brands like PetSafe, HavaHart, Innotek and more. See only the BEST-RATED wireless pet containment systems here.